COLUMBUS, OHIO, December 12, 2016 – Brown Logistics Solutions, Inc., a privately-owned Columbus-based third party logistics company, announced the roll-out of its new division, Lifestyle Transitions Solutions, LLC, that will provide residential move management services to empty nesters and seniors. “In Greater Columbus, households with adults 65 and older are expected to grow by 56% from 2010 to 2030,” stated Robert Hunt, President of Brown Logistics Solutions, referring to research that has been conducted by the Scripps Gerontology Center at Miami University as well as other studies. “Our services are designed to make downsizing and moving into smaller quarters, such as senior living communities, easy and affordable,” he continued. Lifestyle Transitions Solutions’ services include downsizing and decluttering, moving, shipping, short-term storage, management of charitable donations, shredding, auctions and online sales, and estate dispersals. Brown, which was established in Columbus in 1914, entered the household moving industry after World War II and served as an agent for National Van Lines and North American Van Lines. The company has more than 50 years of residential moving experience as well as several assets, including a large fleet of trucks, a 151,000 square foot warehouse, shipping and packing expertise through its Pak Mail franchise, and a team of experienced professionals. “We have helped thousands of Columbus’ residents move into their new homes and look forward to serving the unique needs of empty nesters and seniors with our comprehensive senior move management services,” Hunt said. Lifestyle Transitions Solutions was established by Brown Logistics Solutions, Inc. in 2016 to meet the growing demand for move management services by empty nesters and seniors in Greater Columbus. The division’s services are backed by Brown's unmatched experience, resources and use of best practices in residential moves, storage and project management as well as the unparalleled packing and shipping expertise of its Pak Mail franchise. Combined with its other services like professional organizing, management of charitable donations, shredding, auctions and online sales, and estate dispersals, Lifestyle Transitions Solutions is committed to helping clients transition into their new lifestyles easier, more affordable and less stressful. Pak Mail is a certified industry partner of the National Association of Senior Move Managers (NASMM). Brown’s professional organizer is a member of the National Association of Professional Organizers (NAPO). About Brown Logistics Solutions, Inc.
marketing division, In Motion Promotion. Brown is headquartered in Columbus, Ohio and owns and operates a large fleet of trucks as well as a 151,000 square-foot, secure distribution and consolidation center. The company was founded in 1914 in Columbus, Ohio as the Brown-Mackey Transfer Co. and celebrated its 100th anniversary in 2014. The firm changed its name to Brown Logistics Solutions, Inc. in 2008 and is one of the oldest third-party logistics companies in the nation. Columbus, OH, May 3, 2016 – In Motion Promotion, a division of Brown Logistics Solutions, Inc. and a leading provider of mobile event marketing solutions, is currently in the final stages of getting ABB’s new trailer ready to travel to paper mills across the country. “We are customizing ABB’s new trailer to highlight the company’s Process Automation Systems division’s many capabilities to paper mills, which are one ABB’s key customer segments. The trailer will feature displays of the automation systems, video monitors, a meeting area, and a restroom,” said Rob Hunt, President of In Motion Promotion and Brown Logistics Solutions. ABB has been a long-time client of In Motion Promotion as well as its parent company, Brown Logistics Solutions. The first road tour In Motion Promotion conducted for ABB was in 1991, which was at the advent of the Mobile Event Marketing industry. Since that time, In Motion Promotion has worked with ABB on numerous tours. “We’re very happy to be have been selected by ABB again for this very important tour. Their new mobile unit will allow the company to reach customers and prospects more cost-efficiently and effectively than with traditional methods,” Hunt continued. The trailer is expected to be completed at the end of May. Brown Logistics Solutions is a privately-owned, leading asset-based provider of customized logistics and mobile event marketing solutions. Brown's services range from storing and transporting high-value products to providing comprehensive, innovative solutions which allow companies to take their brands on the road through its mobile event marketing division, In Motion Promotion. Brown is headquartered in Columbus, Ohio and owns and operates a large fleet of trucks as well as a 151,000 square-foot, climate-controlled, secure distribution and consolidation center. The company was founded in 1914 in Columbus, Ohio as the Brown-Mackey Transfer Co. and celebrated its 100th anniversary in 2014. The firm changed its name to Brown Logistics Solutions, Inc. in 2008 and is one of the oldest third-party logistics companies in the nation. In Motion Promotion was founded in 2000 and is a leading mobile event marketing company. 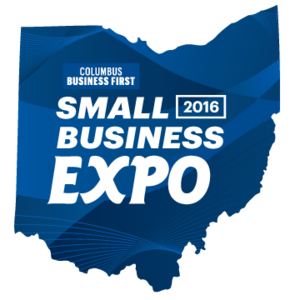 Columbus Business First’s Small Business Expo. can maximize the success of logistics programs and mobile marketing tours. InMotion Promotion provides customized product tours and customer displays for a range of products and businesses. A fleet of vehicles can be placed in service to deliver products and materials to event locations. Columbus, OH - February 25, 2016 /MarketersMedia/ — InMotion Promotion and its parent company Brown Logistics Solutions Inc are pleased to announce that the company has now been offering mobile event marketing services for twenty-five years. The first road tour was conducted by Brown Logistics. By the year 2000, In Motion Promotion became a separate division in response to the growing demand for mobile marketing services. The concept of the site and the company is marketing events, conducted across the country. Various brands are included in the tour. Users are invited to experience the products first-hand in state-of-the-art mobile trailers and set-ups. Some of the country's most respected brands are included in highly successful marketing solutions. The company has a number of vehicles, including trucks and motor coaches. Class A commercial drivers with clean driving records are available to make the tours. Any one of the vehicles can be retrofitted to suit the specific needs of the client. Alternatively, a vehicle can be customized to fit the needs. The mobile unit and associated materials can be stored in the Columbus, Ohio warehouse. The 151,000 square foot climate-controlled space holds the unit and materials for the event and delivers them at the appropriate time. The company and parent firm have a quarter-century of experience. The logistics professionals have more seventy-five years of experience in marketing and promotion. The client roster for In Motion includes business-to-business as well as business-to-customer firms. The size ranges from small and mid-sized firms to Fortune 500 businesses. The marketing firm handles promotional tours which are suitable regardless of the size and scope of the programs. The experience and knowledge of the logistics team ensure that the high-quality solutions and superior results are available. A free consultation is offered by InMotion to explain the advantages of the mobile marketing tours and how they can boost customer's experiential marketing solutions. Columbus, OH, January 11, 2016 - Brown Logistics Solutions, Inc., a leading asset-based logistics and mobile event marketing company, announced the appointment of Deanna DeSmet as its Director, Business Development. Ms. DeSmet will be responsible for leading the sales and marketing efforts for Brown Logistics Solutions as well as its mobile event marketing division, In Motion Promotion. Ms. DeSmet has more than 25 years of professional experience in business development and marketing, including 18 years in the logistics and outsourced business services industries. Prior to joining Brown, she owned and operated a marketing services firm for five years and previously held senior-level business development and marketing positions at Triplefin LLC, Convergys, West Corporation, and the former Arthur Andersen Business Consulting. In her eight-year career at Triplefin, a Cincinnati-based provider of outsourced logistics and business services for the pharmaceuticals industry, Ms. DeSmet was responsible for strategic planning, marketing and leading the sales efforts, which contributed to the company's significant growth. "We are very excited to have Deanna join our team," said Rob Hunt, President of Brown Logistics and In Motion Promotion. "Her experience is a great fit and we believe she'll play an important role in our continued success as we enter our second century of being in business." Ms. DeSmet is a graduate of the University of Nebraska-Lincoln. She and her husband reside in the Greater Columbus area.